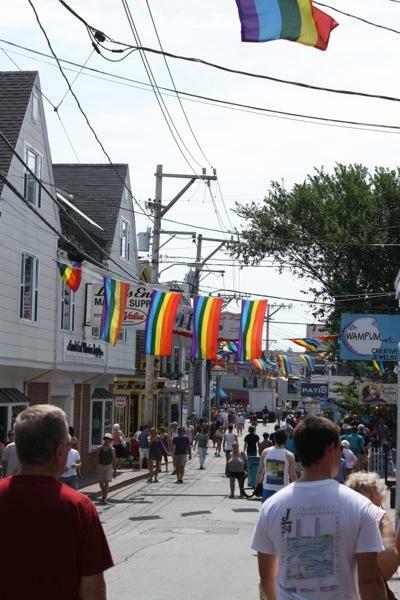 It’s carnival week in Provincetown! (annual Provincetown Business Guild event) This year’s theme is “A Space Odyssey” and the town was decked to the nines with aliens, planets, stars, streamers, disco balls…space galore! Brian and I took to the streets to get ourselves oriented and check out the local sights. “Aargh” first stop was the Wydah Museum where we were very interested to learn all we could about Pirates! The Whydah (pronounced wih-duh) was a Pirate ship, captained by Sam Bellamy, that wrecked off the coast of Wellfleet, MA in 1717. The ship was discovered by Barry Clifford. 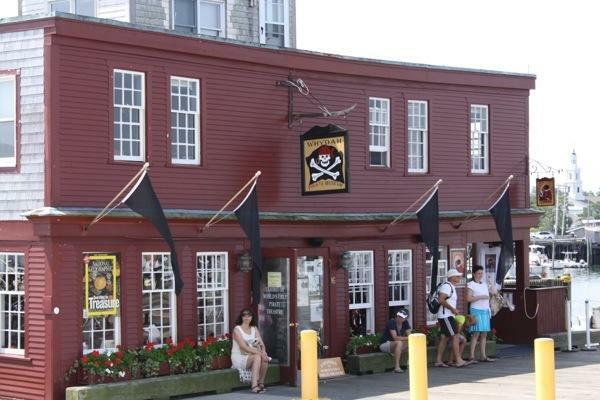 The museum housed all of the treasures, artifacts, from the ship and shared what we do know about the men who were pirates and the lifestyles they led during the 1700’s. Kudos to Disney for doing their research for Pirates of the Caribbean, which until this point had been my only knowledge base for pirates. Pirates aren’t quite the scalawags I made them out to be, however, they led a democratic ship giving each man aboard equal rights. The men were able to vote, had equal shares of any plunder, and even received workman’s compensation if they were injured! Pirates opposed the slave trade and were not fond of the Navy either wherein sailors were treated poorly and received little pay. Piracy was a risky business but they sure made a statement about their right to freedom! We browsed shops and galleries along the crowded streets of PTown. 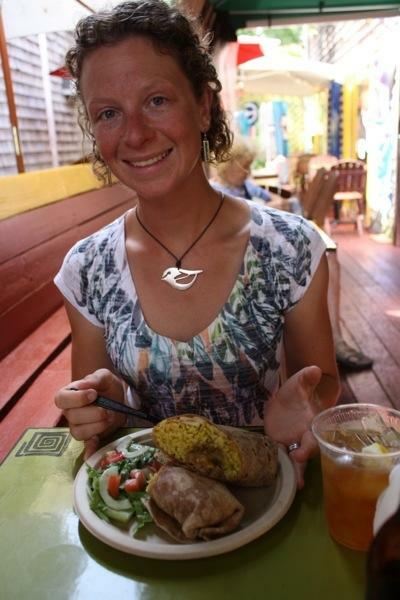 Then stopped for lunch at Karoo Kafe where we enjoyed reasonably priced, fabulously delicious, South African cuisine. 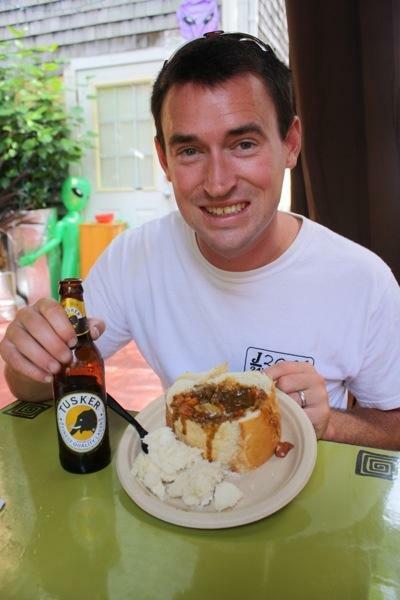 Brian sampled the Tusker lager from Kenya; cold and the taste resembled beer. We chowed down on lamb stew in a bread bowl and a bobotie wrap. 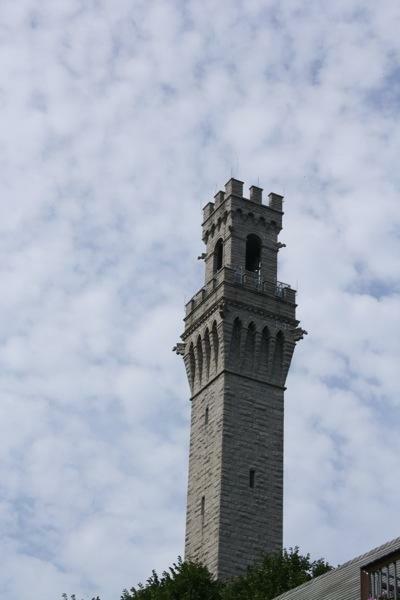 After lunch we sought out the Pilgrim Monument. We were disappointed that we couldn’t explore the base of the tower, but after a walk to the top of the hill the accompanying museum and $10/person admission fee literally blocked our path for any further exploration. 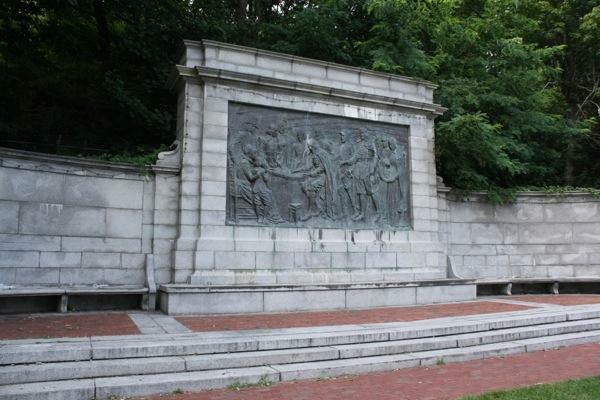 The monuments commemorate the first landing of the Pilgrims in 1620. We were satisfied with the free version, a smaller monument at the base of the hill near town. Back to Rode Trip for a nap mid-afternoon as by the sounds of town when we arrived late the previous night our odds were good for a night on the town. I snoozed while Brian conjured up a project. He was able to rig the main cabin hatch so that it no longer sticks when you try to open it. He also made a toothbrush holder (still to be installed in the bathroom). We ate dinner and kayaked back into town around 9:00pm. After three more stores were browsed we scanned the town for good bars and decided that Darren’s recommendation for The Governor Bradford was the best stop. The Governor Bradford has drag queen karaoke all night every night. SO ENTERTAINING! Brian sampled a Cape Cod Beach Blonde Ale; not worth having a second. I went with my ‘ol standby, Guinness, and we were ready for a show! We heard some really superb voices, and some not so much. We clapped, danced, laughed, and sang along. 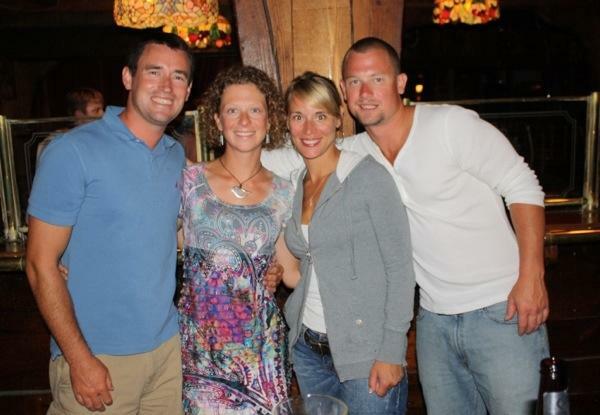 We met friends, Janine and Jay, who were on their own road trip from Ontario. Janine and Jay joined us with drinks and we quickly got acquainted as we had much in common. Janine and Jay were bound for Boston the next morning, but we hope to stay in touch and certainly encouraged them to make reservations aboard Rode Trip.